In all likelihood, the Golden State Warriors are on their way to a third consecutive NBA title on the shoulders of KD, the Splash Bros, and Boogie, but some hopeful NBA fans looking for something different think the OKC Thunder are one of the few teams that can stand in their way. With Russell Westbrook on his way to averaging another triple double for the season, Paul George playing at an MVP level, and role players like Steven Adams and Terrance Ferguson making things happen, the Thunder have as good a chance as anyone to usurp the Dubs. 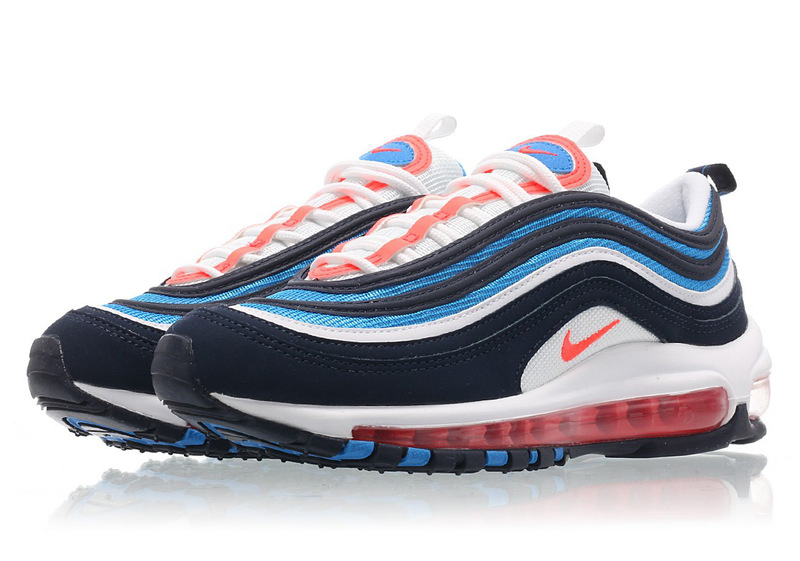 In order to give back to one of the NBA’s most loyal fan bases, the Swoosh has just dropped off an OKC-friendly version of the Air Max 97 dressed in an attractive combo of Bright Crimson, Obsidian, and Photo Blue. The only thing keeping this 97 away from being an official Thunder colorway is the presence of their tertiary yellow hue and some hits of NBA branding. Fans of OKC’s NBA franchise or Swoosh heads that just appreciate a clean colorway can grab these 97s from select retailers right now and expect their arrival on Nike.com sooner rather than later. For more NBA kicks, check out the NBA x Nike SB collection here to rep some of the most recognizable franchises around the league. 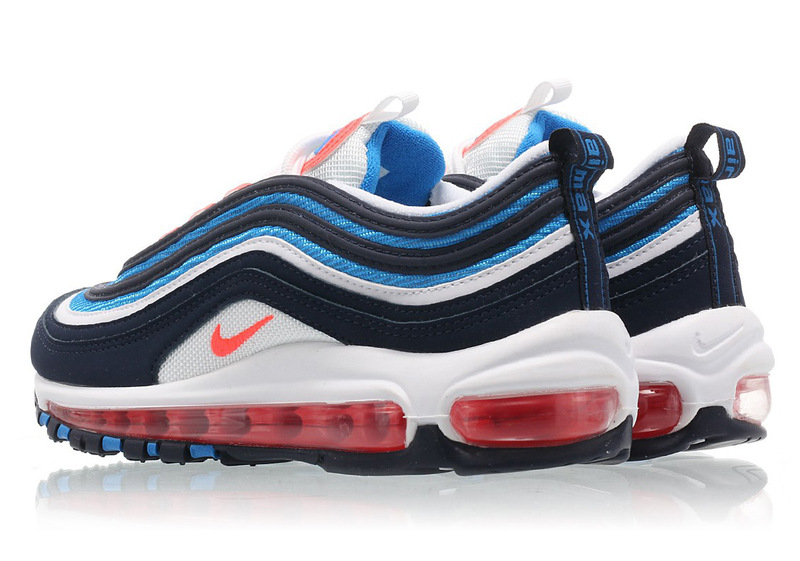 The post A Nike Air Max 97 Appears For OKC Fans appeared first on Sneaker News.